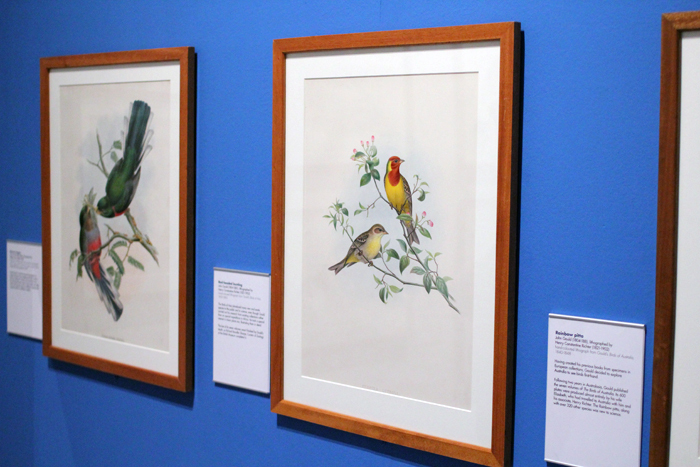 Last week I went to see The Illustrated Aviary at the Millennium Gallery in Sheffield, an exhibition of ornithological illustrations collected in the 1800s by naturalist Thomas Campbell Eyton. 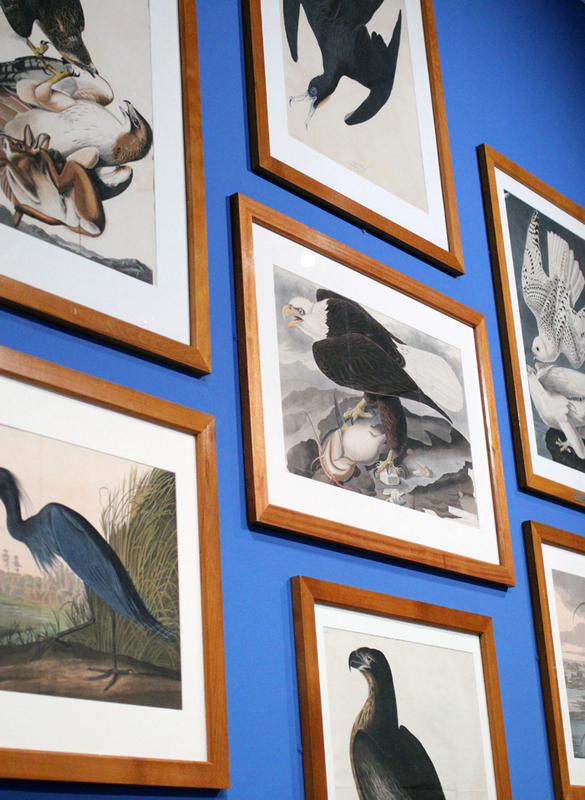 As a great lover of both birds and illustration, it made for a perfect exhibition for me. 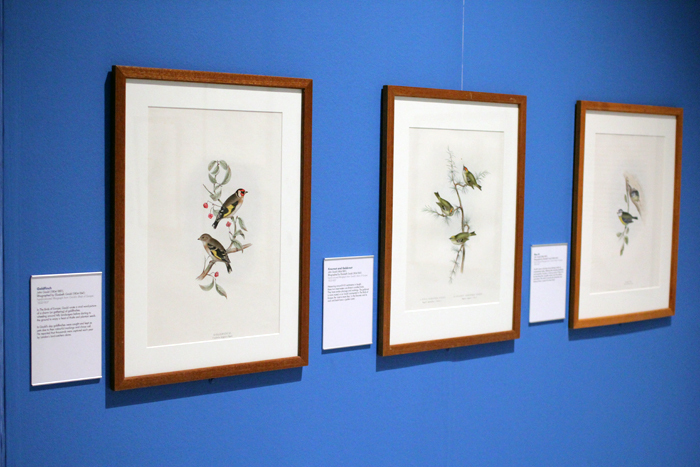 As well as displaying the beautiful prints and watercolours of bird artists such as John James Audubon, John Gould and Edward Lear, the exhibition touches on the growing concern and knowledge of conservation at the time and the awareness of the threat of extinction that some birds faced. 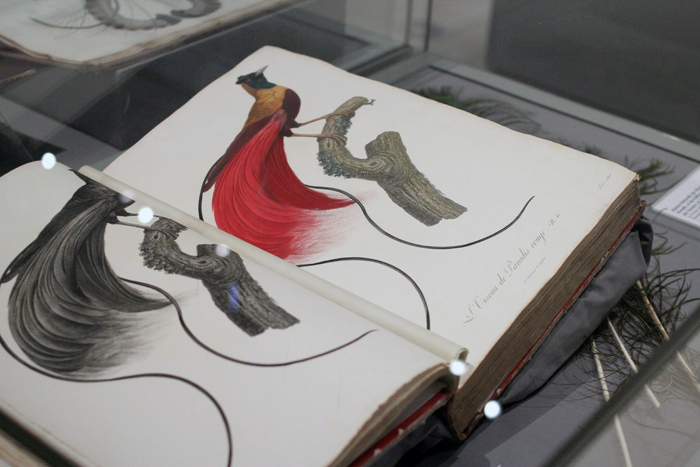 What I loved about the exhibition is that as well as there being prints in the form of bright, full colour drawings and in grand books, taxidermy specimens and a modern textile sculpture to contrast against the old, there is so much to be read as well. 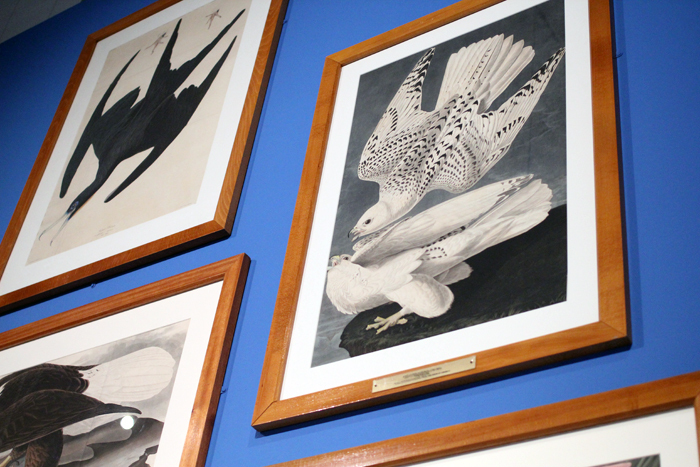 From a technical point of view, it was fascinating to read how the artists went about illustrating the birds that were found on expeditions. 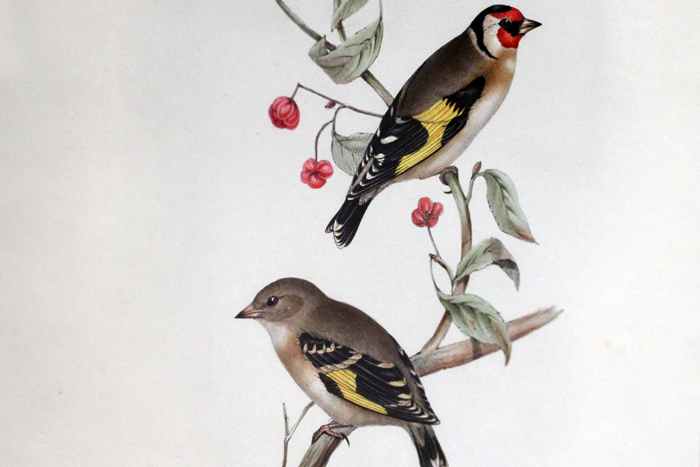 They didn't in fact draw from live birds very often and instead drew from ones that were recently shot and preserved or from the taxidermy of other ornithologists. 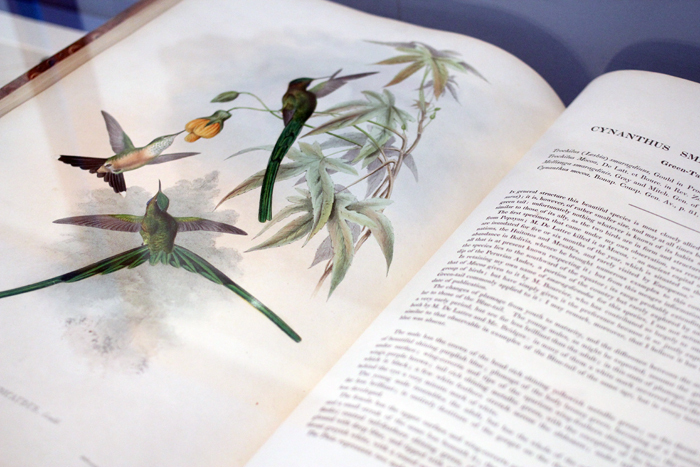 Another fact I found interesting was how some illustrations were composed in slightly unusual ways because of the constraints of the dimensions of the paper that was used. 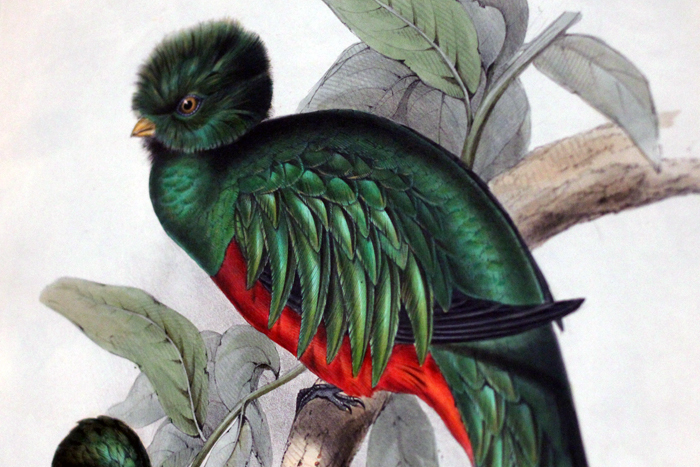 The taxidermy birds had to be physically bent into sometimes rather unnatural positions before drawing in order to fit these dimensions. If you are in the area I highly recommend checking out the exhibition. It is running until the 14th June and entry is free. Gorgeous drawings! It's crazy to think about the world before photography as we know it.